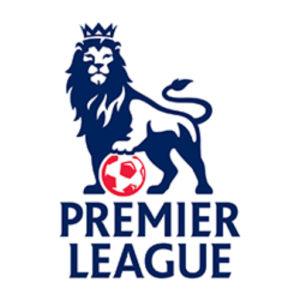 The English Premier League is the greatest league in the world, with each match bringing new challenges that can rock even the most seemingly dominant teams. So, it should come as no surprise that each team’s faithful band of fans want to travel to watch their team try to steal a win on enemy turf. Despite the United Kingdom being a rather small nation, especially when you exclude Scotland and Northern Ireland, it still takes many hours to travel to Premier League away games. In fact, The Stats Zone’s travel distances for the 2018/19 Premier League season show that Newcastle United fans have to a massive 353 miles if they want to see the Magpies play Bournemouth at the Vitality Stadium – which is certainly a winnable game, and even Liverpool fans have to go 271 miles to meet Brighton & Hove Albion at Falmer Stadium. So, we’ve found some quick, easy, and exciting games to help you fill the travel time – provided that you’re not driving and don’t suffer from travel sickness, that is. We’re looking for a Premier League fan who lives far away from their team’s stadium but goes to great lengths to make home matches! When travelling or on the go, the best gaming device to have is easily the Nintendo Switch. The innovative hybrid console plays all of its games both on the TV and as a handheld, leading to it continuing to outsell the Xbox and PlayStation according to Digital Overload’s sales findings. Easily the best football game in the world right now is Football Manager. Each year, fans of Premier League teams buy the game and sink hours into building their club into Premier League champions. The PC version of the game can be quite daunting due to its immense depth and many menus, but Football Manager Touch has proven to be a revelation. Available on the Nintendo Switch, Football Manager Touch makes the process of transfers, scouting, creating team tactics, and watching games unfold quicker and easier by cutting out all of the fluff. It’s not quite perfect in its 2019 edition, but it’s certainly better than the 2018 version and delivers all of the management simulator action that you could want. Some of you may remember the days of playing online browser games at school. Well, browser gaming is back, riding the power of the internet to deliver top-class games. Internet browsers are now powerful enough to handle even the most high-demand games, including live streamed, live dealer games like Lightning Roulette and even Dream Catcher at the Winningroom live casino. This is, of course, the very top end of browser gaming, with real-life live professionals running massive multiplayer games, but there are also less high-tech football games to deliver unique thrills. Having started in 1997, the massively multiplayer online football game Hattrick has evolved alongside web browsers to continue to deliver a high-end football management game. Playable through your web browser, it boasts over 230,000 players who all have their own team. It’s absurdly popular and so easily accessed that if you want to play a management sim against other people, Hattrick is the game for you. There you have it, two ways to play in-depth football games perfectly designed to bring you entertainment while you endure the long trip to an away game in the Premier League.